Back Office Pro (BOP) helps businesses connect with the right audience and avoid missing business opportunities when clients outsource media research services to BOP. While recognizing media research is highly crucial for the success of any marketing strategy, BOP is a trusted media research and Analysis Company who works as a resource support partner to aide much complex research and analysis projects. Helping clients connect with their target in a much faster as well as efficient manner, BOP offers dynamic media information services which capture the very nerve of current trends. Not just to capture the trends, but BOP also helps you to align client’s sources to work towards revenue generation. BOP caters to research firms, analytics companies, advertisers, PR agencies and other to help prepare the right media strategy backed with authentic information. Advanced understanding on MS Office Suite, including MS Office, Excel, Word, PowerPoint, etc. Hands on experience in media research, both online and offline. Highly adaptable to cross-cultural projects working with multi-location teams. 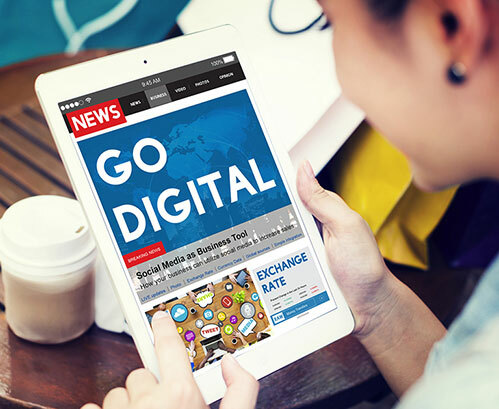 Media Monitoring BOP covers both traditional and digital media channels to help clients understand the way consumers are likely to react to a product or brand. The common channels that BOP’s media research analysts can help you monitor are print publications, TV & Radio News Channels, Online Media including news and blogging portals. By monitoring these channels, clients can build up a unique identity to beat competitors. BOP understands that today social media has gained rapid acceptance and offers efficient social media analysts to keep track of clients and competitor handles to analyze consumer sentiments and patterns to generation valid points about a specific brand. Skilled and talented media research analysts to work exclusively on singular or multiple projects as required. Each of BOP’s analysts come with wide industry experience and come from various top educational institutes. BOP follows ISO certified project management processes to help clients get the best out of their media spends. Multiple locations allow BOP to offer region-specific research services to suit specific needs. Understanding of latest research techniques and tools allows BOP’s team of media research analysts to always stay ahead in the race. BOP architects customized media research techniques to gather the right data from the right sources to help clients make the right media decisions. BOP has delivered over hundreds of media research projects in the past two decades. Contact BOP for a specialized Media Research Solution for your brand today.